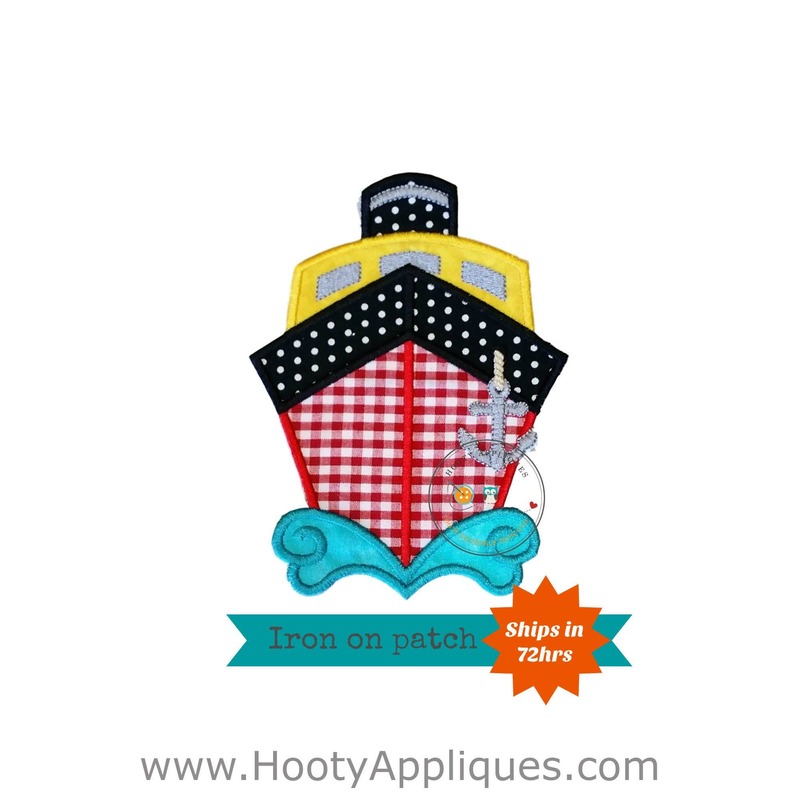 Red gingham cruise ship applique. Great for that summer cruise with Disney. 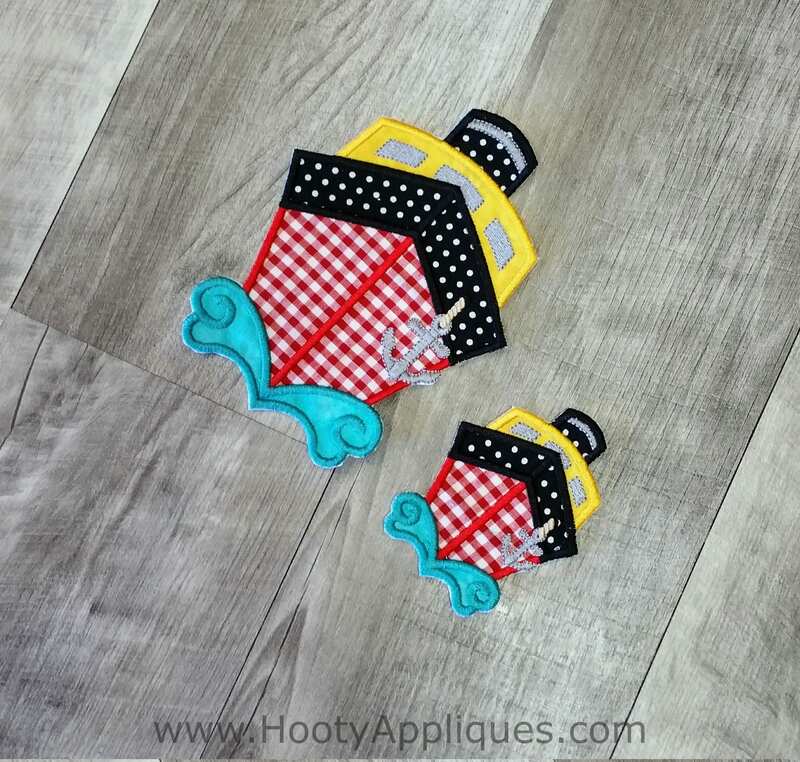 Large- 6.5 inches tall and 4.75 inches wide. Small- 3.75 inches tall and 3.0 inches wide. Shipped quickly! 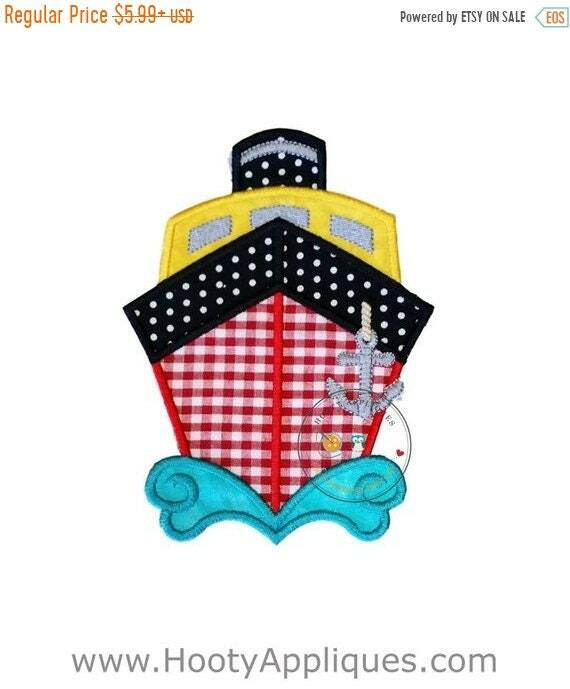 This applique was perfect for a first cruise shirt for my son. Easy directions and easy to apply.